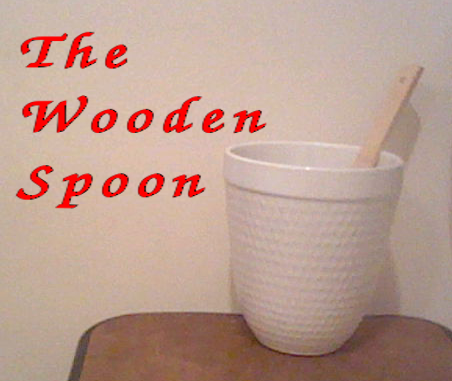 We are The Wooden Spoon. Typically we are a group of two brother/sister combos: Joshua & Faith McCullaugh, and Robert & Sharon Chu. We've all known each other for as long as technically possible (minus two years in one case), and have a common love for music, and praising God. Why are you The Wooden Spoon? Just as the master chef uses a wooden spoon in his work, we hope that the Master Creator can use us as a tool in his great work. Many years ago, Robert and Sharon's mother started a nursing home music ministry, which they have kept going to this day. As Robert & Sharon and Joshua & Faith's families have known each other for quite a many years, it ended up that the two families ended up getting involved in the nursing home ministry. Joshua and Faith eventually starting travelling to different churches with Robert and Sharon, and they bonded together to become The Wooden Spoon. So where's the music already? We have released a single of our rendition of "Pass Me Not (Oh Gentle Saviour)", which you can access on this page. Also, we just released our first full album titled "Christmas Sunshine" which you may read about and listen to here. How can I get ahold of you guys?